The Aegean Clipper is a truly magnificent and especially large 11-cabin gulet, which we use regularly for standard gulet charters, especially our longer trips in the Greek islands, as well as private expert led cruises. With a 33 metre long deck, she is spacious and comfortable with 1 master cabin, 4 doubles and 6 twin cabins accommodating up to 22 guests. She is quite stunning, full of character and is fitted out with all standard mods cons. We have received wonderful feedback from guests who have chartered her. In terms of the number of cabins, Aegean Clipper is one of the largest gulets in Turkey and comes with the benefit of a spacious flybridge providing additional space, so she is perfect for large groups. She is also beautifully crafted and kept in immaculate condition by her very knowledgeable and experienced owner and Captain, Ergün, who speaks excellent English and German. 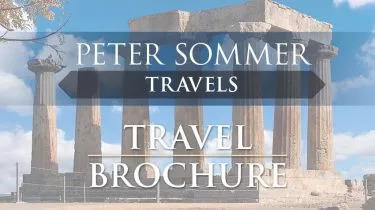 Heinrich Hall is a superb guide who balances deep knowledge of Greek history and archaeology with a wry sense of humour and good logistical skills.